If you’ve stumbled across we buy any bike website and thought hmm, should I go ahead with selling my bike with an online company or should I just sell it privately myself? Well, read on and you’ll find a few reason that selling with we buy any bike is a great idea and you should go ahead with it. Firstly, the guys at webuyanybike.com are brilliant. 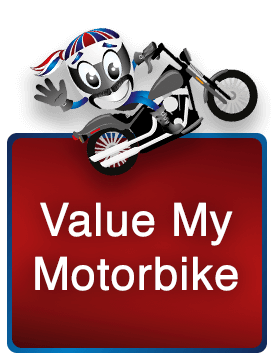 They will make you feel very welcome which is great when selling any item let alone an expensive one like a bike! They will give you a fair and easy quote online (which is absolutely hassle free!) You won’t have to wait in all day for somebody to call you, you get what you’re after very easily. But now you’re thinking, but how do I get my bike to we buy any bike guys? Well, let me tell you. That’s absolutely free if your bike is worth over £400 and you don’t have to do a single thing, they will come and collect it from you! However if that isn’t convenient for you, then you can deliver your bike to the webuyanybike.com guys in Leeds and receive Marks & Spencers vouchers! As well as that, you can leave your bike with a neighbour, friend or family member and the webuyanybike.com guys will collect it from their property as long as you’ve given consent, so you’re free to go to work or out for the day while your bike earns you money! Webuyanybike.com is the best for a quick sale and fair quote. So you cut out the middle man with selling your motorbike privately. It also saves you a lot of time with all the ‘timewasters’ you will get with selling privately. However if you’re wondering with everything online how private and confidential the site is. Then rest assured the site is very private and your details will only be used by the webuyanybike.com guys. They will use your details when contacting you about your bike or to find out where you live to collect your motorcycle! Your bikes details will be used when processing a fair and accurate quote of your motorcycle by the webuyanybike.com guys and that is also very private. So now you want to sell your motorcycle quickly. What do you have to give the we buy any bike driver with the motorcycle? Okay so, all you have to give is your bike keys as well as any spare keys. The service records and any invoices for the bike you’re selling. The log book, manual and road tax disc. Also the bike will have to be sold with any original equipment you bought with the bike. But your bike is an import? Well, the guys at we buy any bike takes those off your hands too. Just visit their website for a quote or get in touch with them! Previous Previous post: Where are the motorcycle films? – We want motorbike movies! Next Next post: Which 125? – Yamaha, Honda, Aprilia, Suzuki?